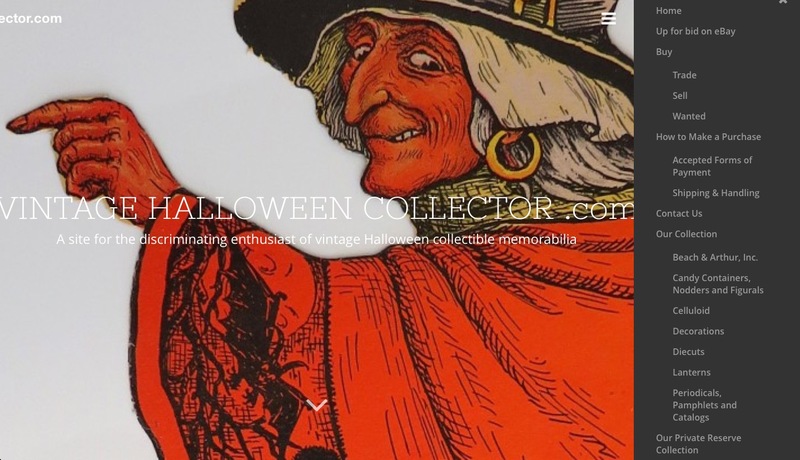 Get the most out of our website by exploring the many pages within Vintage Halloween Collector .com. Simply click on the menu icon, located in the upper right-hand corner of your screen, to view additional pages throughout the site. Our latest addition, located under ‘Buy’, is titled ‘Wanted’. The ‘Wanted’ page not only alerts you to items we’re on the look-out for, it also lets you how much we’re willing to pay you for the item. Check out our “Wanted” page frequently. Do you have what we’re looking for?